Sundar came back to pack back the other opener Tamim Iqbal (27), who looked threatening with his four boundaries and a six off Shardul Thakur's first over before losing his leg stick to the 18-year-old tweaker. 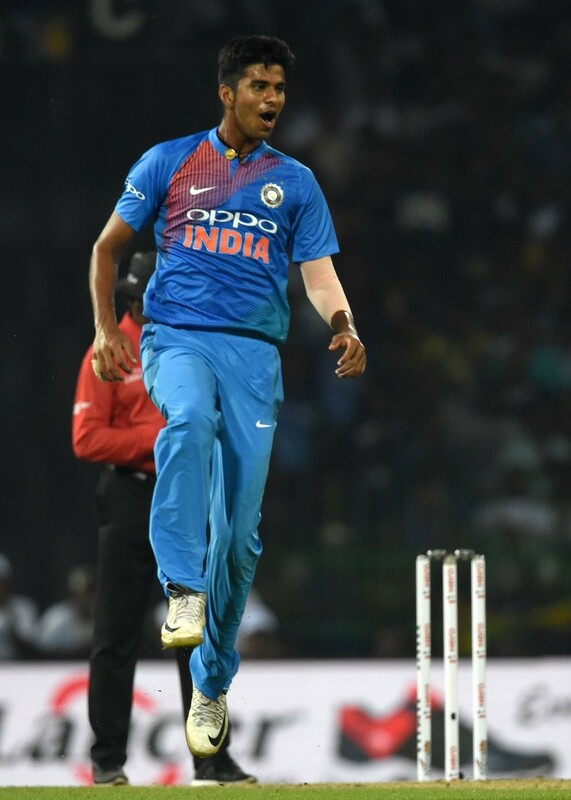 Skipper Rohit Sharma led from the front with a fluent half century and teenaged off-spinner Washington Sundar scalped three wickets to help India beat Bangladesh by 17 runs at the R. Premadasa Stadium here on Wednesday and guide the men-in-blue to the final of the Nidahas Trophy T20 tri-series. Chasing a healthy 177, Bangladesh were off to a forgettable start, thanks to Sundar's (3/22) exploits with the new ball as opener Liton Das (7) and one-down Soumya Sarkar (1) perished to the tweaker cheaply. Stumper Mushfiqur Rahim raged a lone battle with a 55-ball unbeaten 72, comprising eight fours and a six but that was not enough for his team as Bangladesh could only muster 159/6 in the end. Tottering at 40/3, Bangladesh's hopes were further dented when leg-spinner Yuzvendra Chahal (1/21) saw the back of skipper Mahmudullah (11) caught by Lokesh Rahul.